Qlo supports multi- languages and currencies. Now, you can attract customers from your country as well as from other countries. 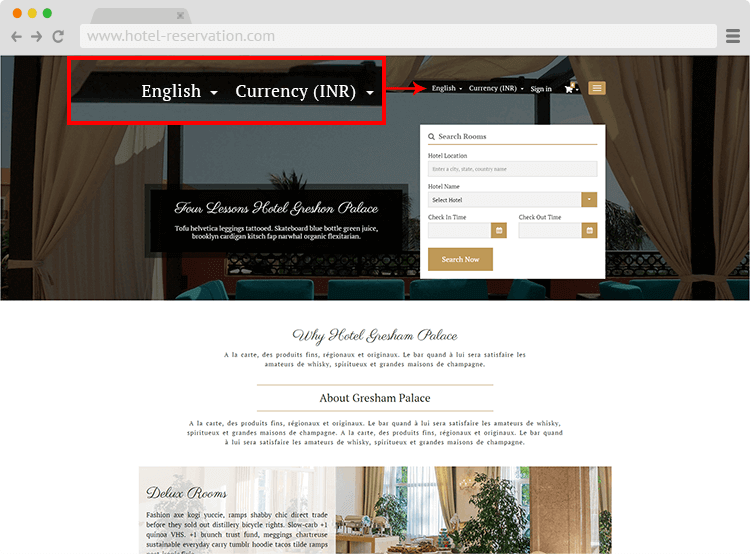 Each and every customer can view the price of the rooms in their own currency and they can view the site in their own language which will make your website more readable to customers. This will help you to increase your revenue and can help you to improve your hotel ratings.